"I don’t want any newcomers to MUN to go through the stress that I did. I want people to actually like MUN and enjoy it. For me, MUN is like a gift, a dream, where I can be myself and discuss topics with people that have the same interests as me. I want all of the delegates to have that enjoyment during the conference." The Da Nang International Model United Nations organization, also known as DAIMUN, was founded by a group of ambitious students whose goal was to create an organized and developed Model United Nations conference in the city of Da Nang, Vietnam. 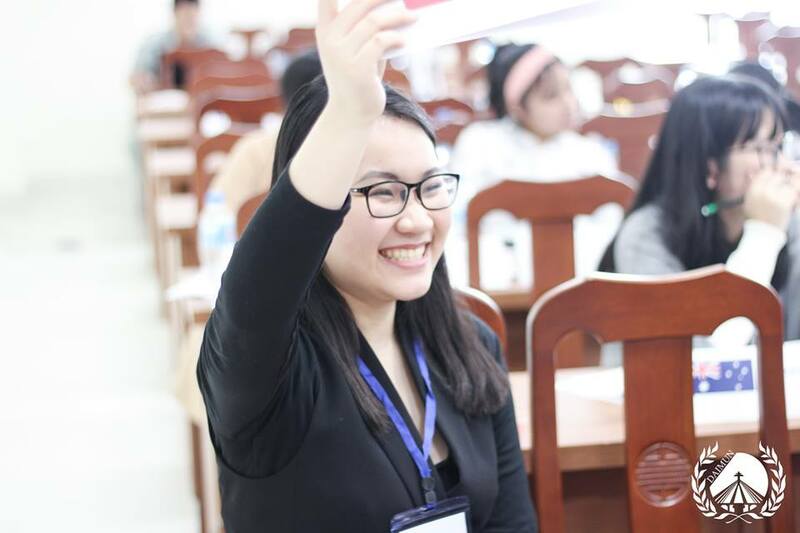 DAIMUN is the first ever international MUN organized in central Vietnam. The organization was founded after years of discussion and preparation, and operates under a basis of ambition to guide channels of discussion and change to the world around us. DAIMUN was founded and continues to be fueled with a dedication for MUN that avid delegates embody. DAIMUN was established by students who have both devotion and significant experience in participating in MUN conferences as student delegates. Many of our team members have been to a multitude of MUN conferences throughout the globe and have gathered information about these conferences over the years. Since our team members understand the experiences and processes of a MUN student delegate we are able to adapt the DAIMUN conference in order to create a truly unique and educational experience for our participants. The DAIMUN conference is designed with an understanding for the wellbeing of a student delegate and with with years of comparison and contrast between different MUN conferences. DAIMUN strives to develop a MUN conference excellent in all aspects and ideal for all participants—newcomers and experiants delegates alike. Our DAIMUN team members hold an immense dedication and responsibility to create an outstanding model united nations conference. As rigorous students, we hold our work with DAIMUN to the highest standards. Our members were and still are Model United Nations delegates themselves; we understand fully the position of a student delegate and their importance to the conference process. In fact, when you become a delegate at a DAIMUN conference you are not merely a participant, you become part of the DAIMUN team-- part of what makes a DAIMUN conference an unparalleled experience. Marking the halfway point between Hanoi and Ho Chi Minh City, Da Nang is Vietnam’s fourth largest city containing the best infrastructure in all of Vietnam. Da Nang is the commercial and educational center of Central Vietnam, as well as being the largest city in the region. Not only is Da Nang extremely well established as a city, but it also has a rich history. Due to its location, Da Nang has been a hub of transportation and cultural diffusion for centuries; the city has seen many years of ideas and cultures -- an ideal location for a conference that supports the exchange of ideas and discussion. Da Nang exhibits the urbanization and characteristics of a large city while still maintaining aspects of rural living prompting it to have an extremely diversified industrial center, including industries such as machinery, electrics, chemicals, shipbuilding, and textiles. Da Nang allows visitors to see how all industries from all locations work together to create an effective and dynamic economy. Evidenced by the inclusion of the word in our name, Da Nang International Model United Nations is an organization that operates on an international level. Our staff is scattered throughout the globe and we fully welcome all international students to both become a delegate at our conference and join our DAIMUN team. The diversity of cultures and locations of our staff allow DAIMUN to cater to all nationalities attending our conference. We also believe that this diversity fosters diversity of opinion and brings different perspectives to our conference. The United Nations itself is a global organization that brings together many nationalities to create channels of discussion. DAIMUN strives to form the most authentic United Nations conference and as a result applies its international perspectives to create a globalized conference. "For me, it is really important for DAIMUN to be a learning enviroment-- an enviroment where those who are new to MUN and those who are experienced in MUN can come together to foster development and conversation while still learning from and teaching each other. "